Nervous or new to swimming? 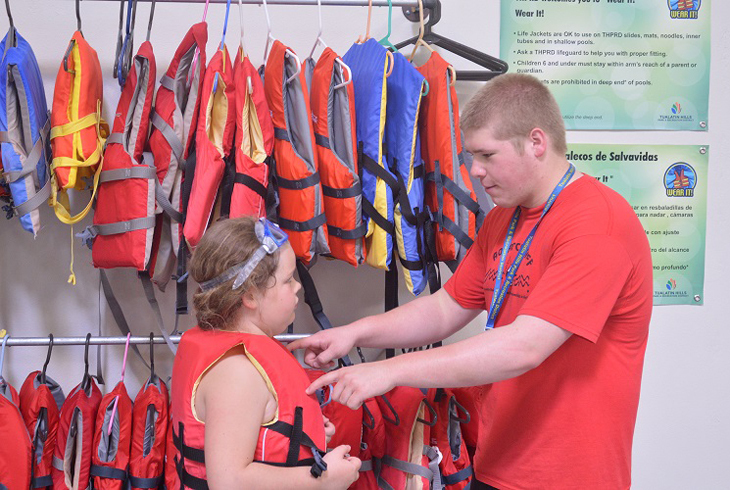 We have lifejackets available to use at our swim centers. For those who may not have strong swimming skills, who are nervous about swimming, or who are not quite tall enough to stand on the bottom of the pool, we encourage you to use one of our life jackets at no charge. We want everyone to enjoy their swimming experience at THPRD pools. Tualatin Hills Park and Recreation District year-round pools have life jackets available to be loaned out for our guests. This is a free service in order to promote safety in and around our pools and natural water areas. Play safe this summer around the water. 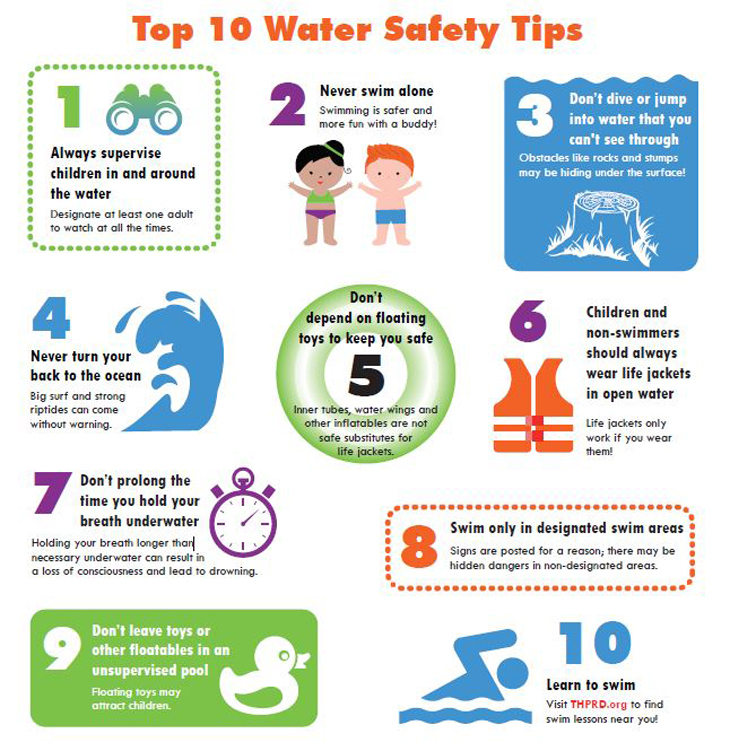 During National Water Safety Month, in May, we'll focus on reminding everyone of how to be safe in and around the water this summer. About 6,000 children in our Learn To Swim program will take the "I'm a safe swimmer" pledge; each will receive a certificate and an "I'm a safe swimmer" wristband. As a reward for taking the pledge, any child with an "I'm a safe swimmer" wristband may will be admitted to a free open swim at any THPRD pool over Memorial Day Weekend. Are you planning an event near or around water this summer? If your guests will be swimming, be a responsible host and participate in THPRD's Water Watcher program. A Water Watcher is a designated adult with the responsibility to supervise children swimming (pool, lake, river or beach) at your event. Please contact Sharon Hoffmeister at 503-614-1207 for more information.